Lancashire Music Hub is holding its annual Lancaster and Morecambe Area Celebration Concert at the Platform in March and all the groups from the Lancaster Music Centre will be playing. 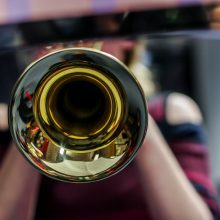 The concert will feature young musicians performing in many guises from across the Lancaster and Morecambe area as well as a Lancashire Music Service County Ensemble. It promises to be a varied and entertaining afternoon showcasing a wide variety of young musical talent and provides the young musicians with an excellent chance to play in a really nice professional venue.